SAMSUNG MUSE ( S PEBBLE) Coming to the U.S.
Guys, do you remember the SAMSUNG S PEBBLE which had started off in South Korea back in October?? Now, the same device will sell in the U.S. 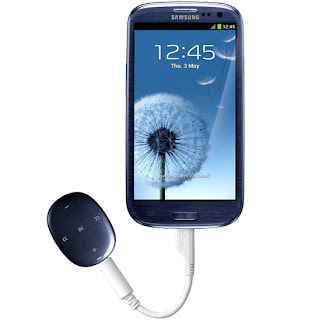 But, yes it is renamed as the SAMSUNG MUSE, the “perfect companion to your Samsung Galaxy handset”. The Muse comes with the same chic clip-on design, 4 GB of internal memory and 17 hour rated battery. The Muse will support all the usual music formats, including MP3, WMA, OGG and FLAC, but will not come with Wi-Fi or Bluetooth functionality. Also, interestingly, you can use the Muse Sync app to transfer songs directly from your phone without having to go through a PC. The Muse is extreme tiny and weighs just 13.7 grams. So, be very careful to place this little device around. Also, it will cost just $50 in the U.S. So, are you guys ready to leave your smartphone back in your home and grab this little device when you go out for a peaceful walk, drive??? 0 Respones to "SAMSUNG MUSE ( S PEBBLE) Coming to the U.S."